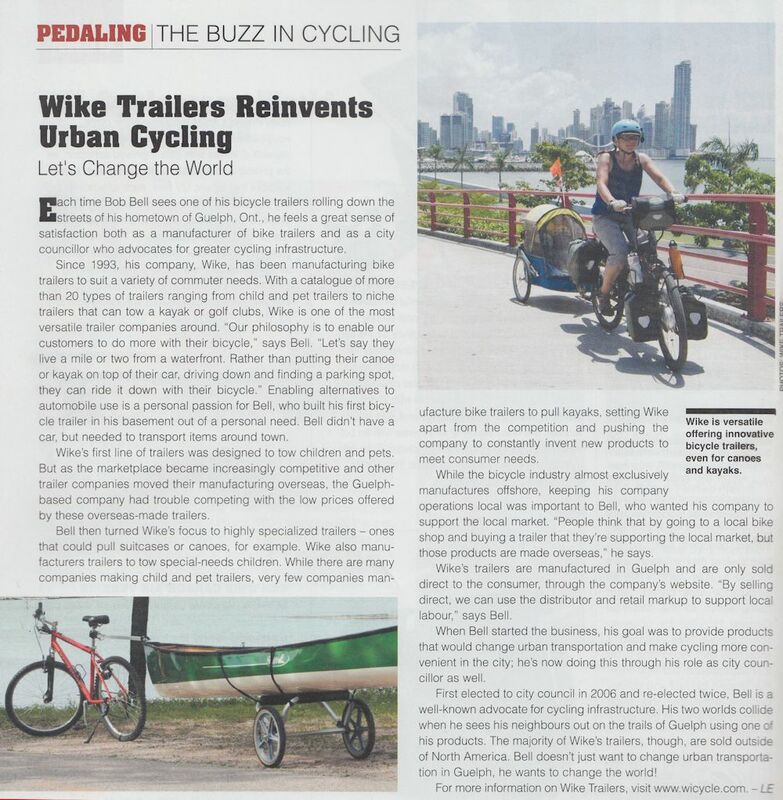 The Wike Company is featured in this month’s issue of Pedal Magazine. Wike Enters The Dragon's Den! Cargo Bike or Cargo Bike Trailer? Do You Know Your Awesome Cargo Bike Type? What Makes a Good Bike Trailer? Will bicycle trailers evolve into the cars of the future?